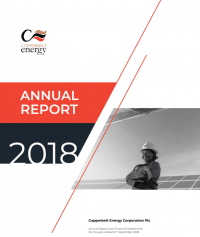 The Directors of Copperbelt Energy Corporation PLC (“CEC”) are pleased to announce the release of the annual report for the year ended 31 December 2012. Below is an extract from the Executive Chairman’s Statement. To download the full 2012 annual report please click on the link below.